Eagle Ridge Residential Development in Alberta, Canada, is a design-to-fabrication precast concrete project carried out completely within Tekla's Building Information Modeling (BIM) software. 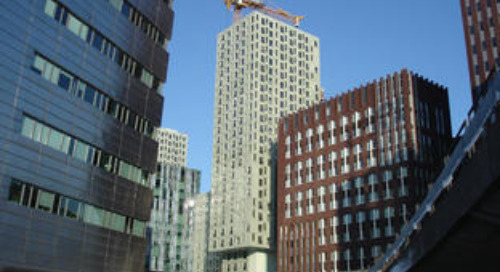 Integrated project delivery and operational efficiency provided by the full-workflow solution worked ideally for both the precast concrete detailing and the structural design part of the project. 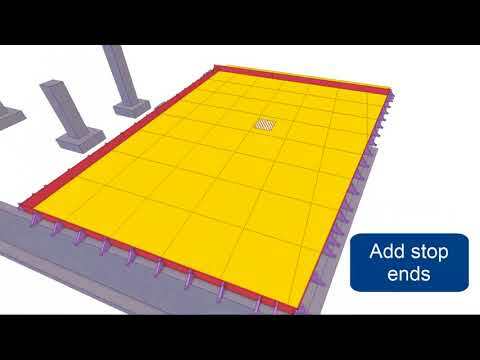 Tekla's solution supports value engineering and alternative design development, enabling the modeling of field solutions, such as shoring and temporary bracing. 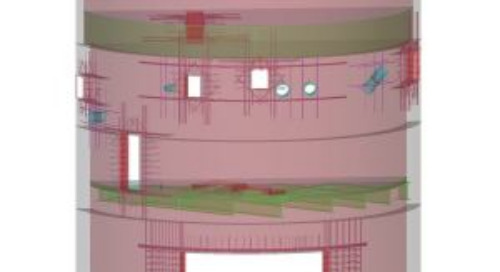 Rapidly producing shop drawings and managing the project timeline were both accomplished using Tekla Structures, which proved to be highly productive. The Eagle Ridge project covers a 371-acre residential development area in Fort McMurray, Alberta. This entails 3,700 residential units comprised of nearly 2,000 multifamily suites, along with additional single family housing, town homes, semi-detached houses, social housing, and a bridge interchange linking the new development with existing roadways. 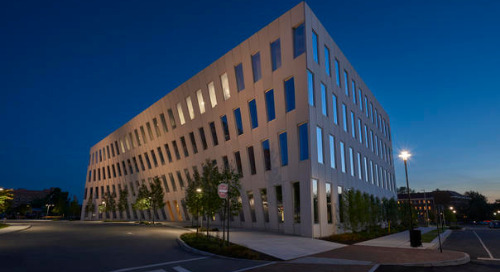 The first phase consists of seven precast buildings, of which six were 6-story and one was a 4-story building. Kassian Dyck & Associates worked on a fast-track schedule and modeled the entire first phase of the project in Tekla Structures, and upon completion had modeled total 22 buildings. In addition to Kassian Dyck & Associates, another supporter and early adopter of Tekla software in this project was the precast supplier Lafarge North America/Alberta Precast Division. Prime consultant was Gibbs Gage Architects. The total project cost is 1 billion dollars. The general contractor of this project, Centron Residential Corporation, has been a major developer in Alberta for more than 20 years, a construction contractor of land development and residential, commercial and industrial projects. 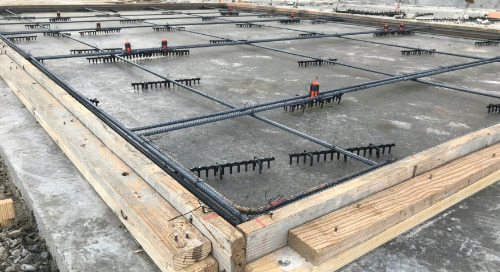 Centron’s project manager, Ken King, wanted to use a modular system in this project – prefinished as far as possible to reduce and streamline site work. He was certain that this method would be successful if the benefits and limitations of each building system are understood. 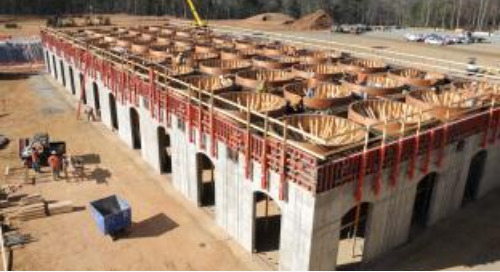 Centron chose the cost efficient total precast solution in order to increase speed, to reduce site work, and to incorporate building information with other trades. 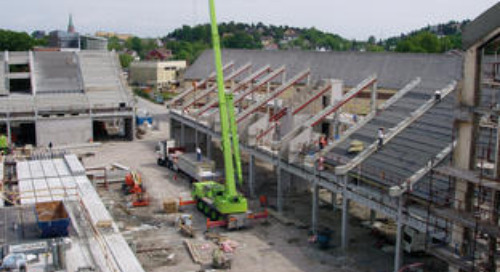 The site was cleared in May 2006, construction work started in July and the first precast building was erected in 2007. According to Wayne Kassian of Kassian Dyck & Associates, his team could not have detailed the total precast building to the fast-track schedule without the extensive 3D modeling benefits provided in Tekla Structures. 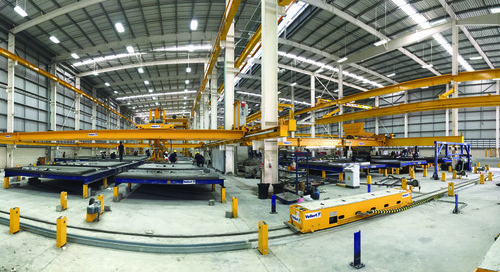 Operational efficiency provided by the full-workflow solution worked ideally for both the precast concrete detailing and the structural design part of the project. Modeling included the hollow core roof and floors, interior load bearing wall panels, columns, beams, balcony slabs, stairs and landings, temporary bracing, exterior insulated wall panels and elevator and stair shafts. The Tekla model was used widely in the project, starting from design development with the owner, architect and precaster. The building information visualized in the model assisted with design development, increased the speed of approvals, and allowed the precast team to visualize and assist with the design development of the structure. 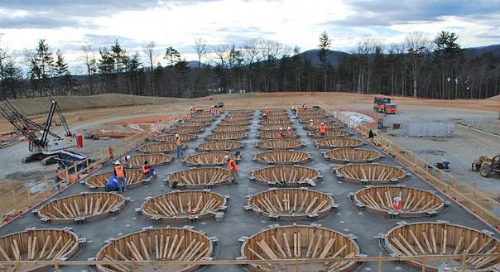 The model can be utilized in estimating, engineering, production, as well as erection. Examples of how the 3D model was used during design development include creating snapshots for meetings and for discussion of stair geometry and brick pattern with the architect, as well as lift hook and erection issues with the precast supplier. All shop drawings (piece tickets) and erection layouts were created with and maintained in Tekla Structures. 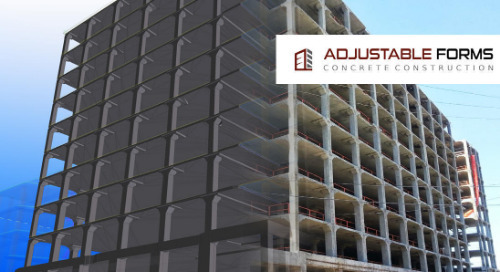 Kassian Dyck & Associates also modeled erection bracing and shoring posts, as well as panel strongbacks that are required to stiffen some precast panels and prevent damage during transportation. The entire project and all details were modeled in 3D using Tekla Structures, which required a new way of thinking: now erection layouts were created after the structure was modeled, so information for erection was added to the drawings after the modeling process. It was possible to create piece shop drawings (tickets) and edit them in varying degrees: drawings for simple cloned pieces can be completed in 5 to 10 minutes, whereas complex pieces could take up to 1.5 hours. Based on Kassian’s experience, this could have taken from 2 to 8 hours per drawing with 2D CAD drafting. “With modeling total precast buildings, 3D modeling has numerous benefits for detailing precast,” he states. 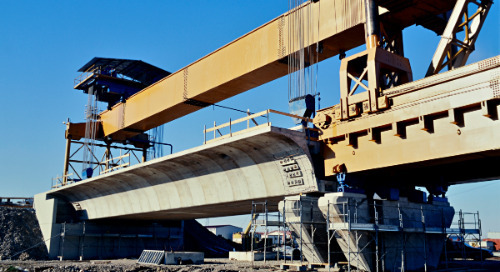 “The overall speed of detailing precast was increased at least 30% with reduced manpower.” Kassian was also able to reduce cross coordination and checking of drawings. There were no fit, geometry or hardware misplacement errors reported from site. Wayne Kassian is Principal at Kassian Dyck & Associates. 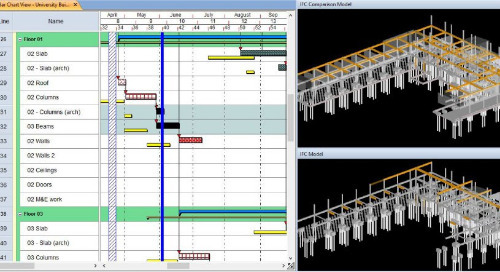 The company’s success with Tekla Structures demonstrates how companies of all sizes have benefited from using the software. 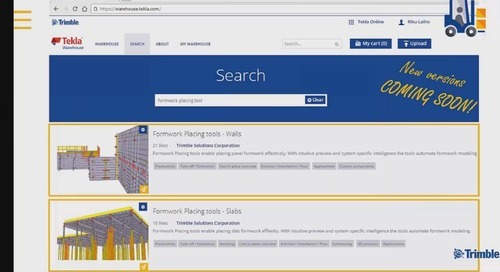 Says Kassian: “We’ve been using Tekla Structures to create structural contract drawings as a natural advance from 2D drafting into 3D structural modeling. The software can be used for both simple and complex structures and provides excellent visualization to all members of the team during the development of the structure." "Using Tekla Structures we can provide our clients with accurate contract drawings that are easily updated if design changes occur.We clearly see the benefits of creating contract drawings using 3D modeling versus 2D CAD drafting. 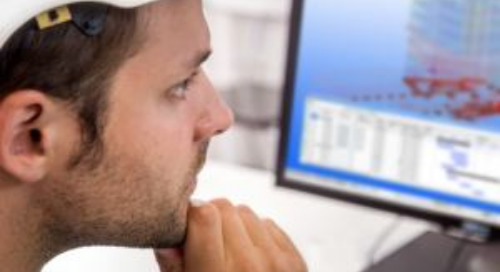 Tekla Structures and 3D modeling is changing the way we do business,” Kassian concludes. He directs special thanks to Peter Yurkiw and Don Zakariasen of Lafarge North America, too, for supporting the use of Tekla Structures on the successful Eagle Ridge precast project. 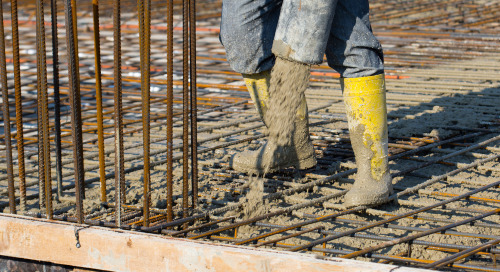 3D modeling software improves concrete construction efficiency. 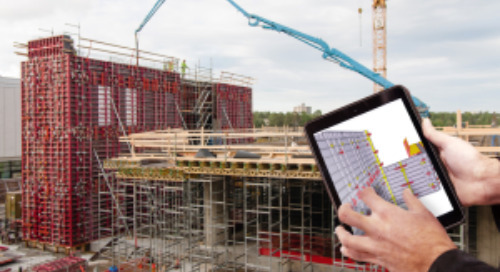 From preconstruction to site management, Tekla offers a complete solution for concrete contractors. These 12 innovative products will revolutionize the jobsite. A sneak peek of demonstrations from the Tilt-up Concrete Association’s upcoming annual trade show. 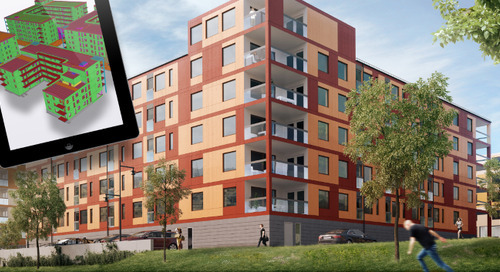 The project shows that even an ordinary residential building can be modeled effectively and by focusing on the true nature of BIM as a collaboration process. Wayne Brothers delivers high-quality proactive construction services to help clients reduce construction waste and complete complex industrial projects on schedule.